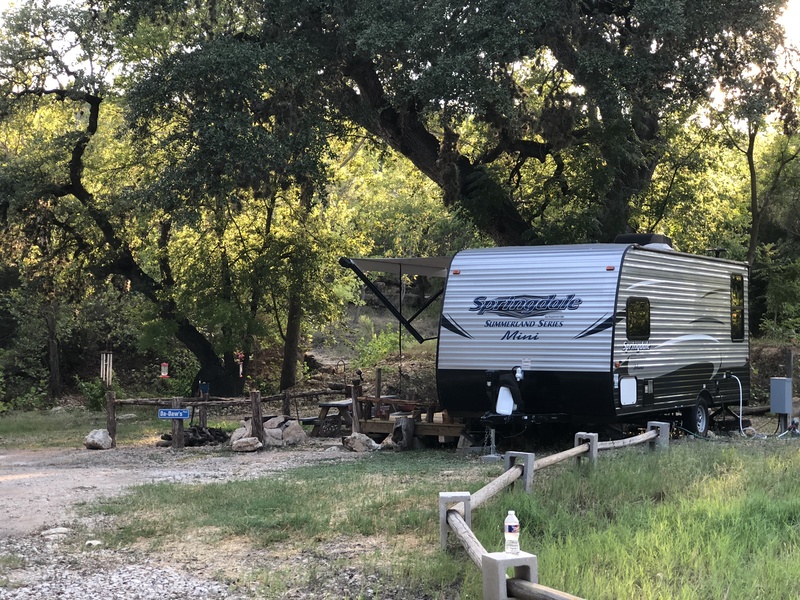 At Canyon Cove RV Park, we specialize in providing a sanctuary for Winter Texans and an escape into nature for vacationers. Scroll for more. We offer full hookup spaces at a monthly rate, including water, electric, septic, trash, mail service, and wi-fi. We are pet friendly year round and offer many shaded RV sites. Here at Canyon Cove, we have a tight-knit friendly community of families and winter Texans. With spaces set half a mile from the main road, you can finally enjoy the peace and quiet you’ve been looking for. Starting at $475 per month. Premium spaces starting at $500 per month. 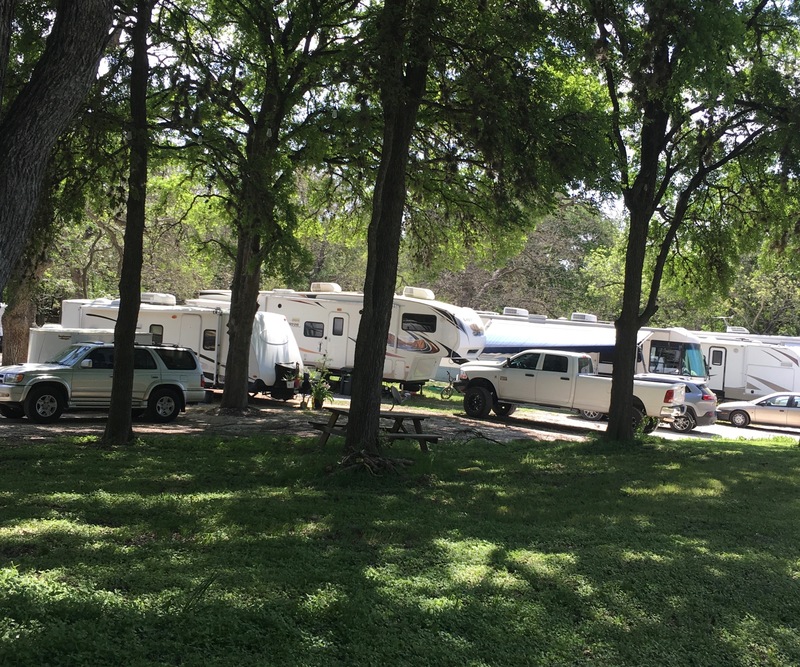 Our park is able to accommodate almost all RVs! Call us for more information. We offer nightly and weekly rates that offer water, electric, and wi-fi. Keep cool with our shaded spaces and close access to the river and marina. Our park supports local business, including our relationship with RiverSports Tubes who offer full transportation to and from the river for tubing and water activities. Enjoy visiting our two on property ponds and small waterfalls, and for evening, we have fire pits available in many spaces. Starting at $45 per night. Our secluded cottages are surrounded by nature allowing you to escape the city. 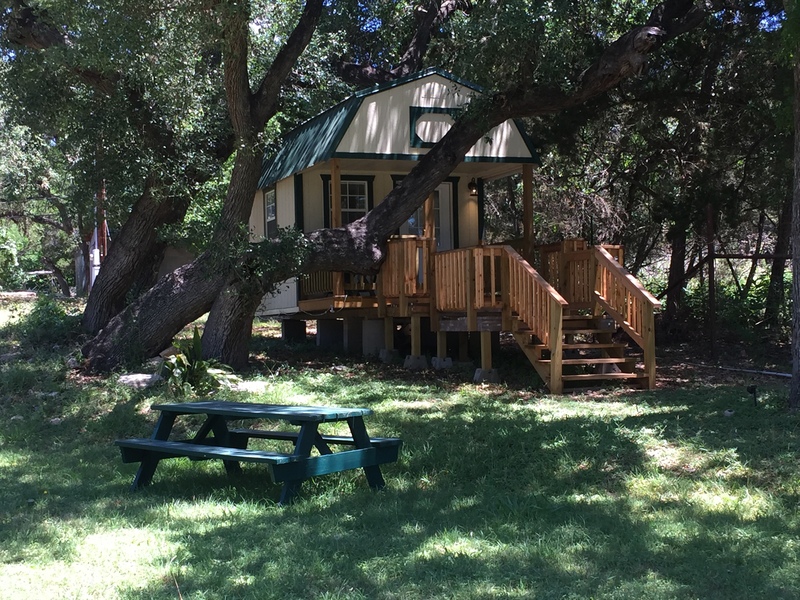 They include bedding and linens, air conditioning, coffee maker, mini fridge, and full private bathrooms and shower. Relax on our spacious private decks and enjoy the view. 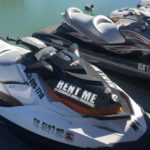 We provide extra parking for boats and jet skis for those staying in our cottages. Starting at $150 per night. 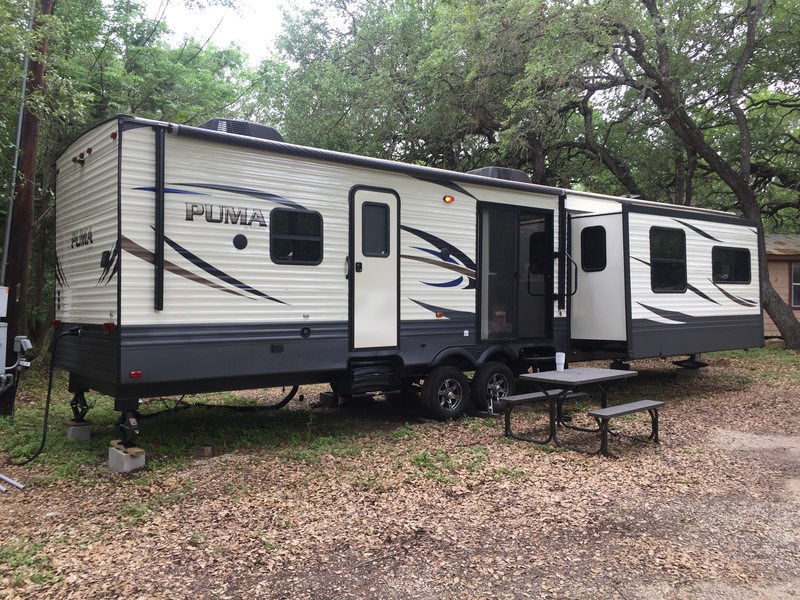 Here at Canyon Cove RV Park, our goal is to provide a place for families and their pets to come and enjoy nature and all the activities in the Canyon Lake area. 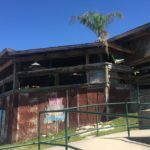 We are a family run business and we work and live on site and consider Canyon Cove not only our business, but also our home. If you are new to RVing, either as a life-style or for vacation, we are more than happy to help beginners learn the ropes. Everything from backing in RVs, hooks ups, and leveling, don’t hesitate to ask. Call for a live person!